We enjoyed a great night’s sleep on the deck and woke up to have a home-cooked breakfast with Garrett and Ali. We bid them adieu and headed to the post office to mail back a few more items. Outside of the post office, we met a series of interesting people. The first was a fellow named Don from Allentown, PA. 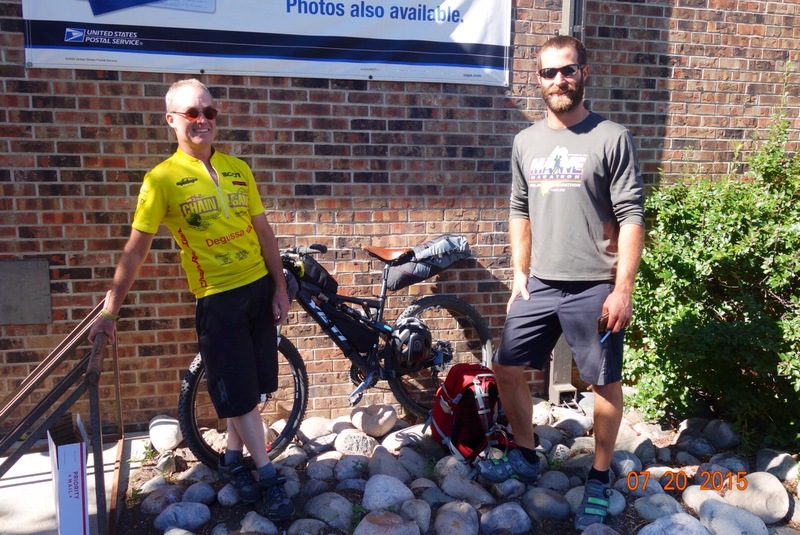 He had a mountain bike that he was riding on the Colorado Trail from Durango to Denver. Next, a woman who was on the Board of Trustees for the East Coast Greenway spoke with us about our trip. Finally, Mike came up and gave us a bunch of great tips for the route ahead. It was fun meeting and talking to all of these folks; we left with a great impression of Durango and the people who live there! While I was talking to Mike, Chris changed my rear tire, which had grown a big egg overnight. 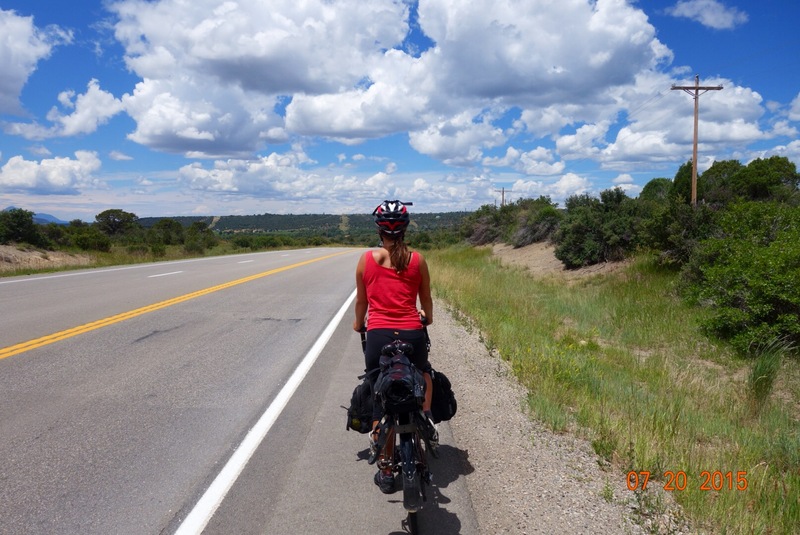 After a big climb out of Durango, we stopped for lunch at a grocery store in Mancos. We were working on a blog post on our phones as we ate, when two ladies came in. One of them commented on our generation and the fact that we were sitting together in silence, both absorbed in our phones. I explained that we were working on a blog post for our trip, pointing out our bicycles. This ignited a conversation, and we discovered that Stephanie and Carol run the Viking Chicks Farm, an egg farm. They had numerous interesting stories about the farm, travels to Nepal, and other life experiences. We talked with them for a long time before getting back on our bikes to continue on. 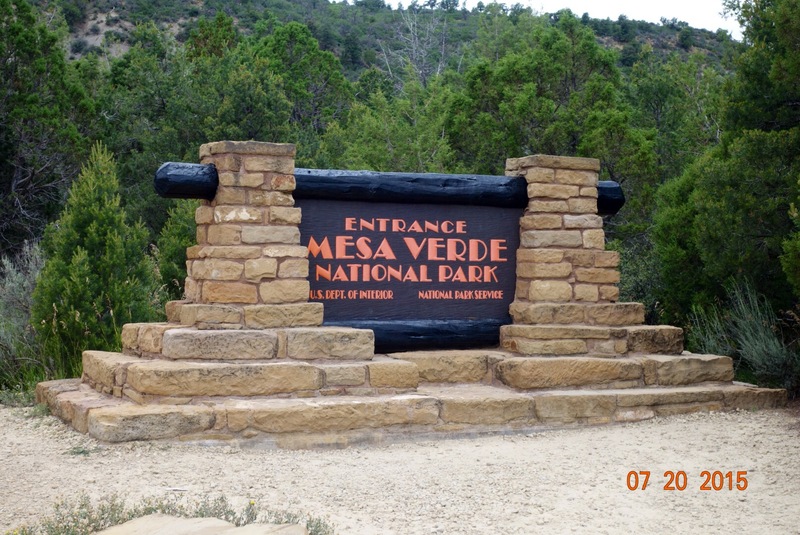 We stopped by the Mesa Verde Visitor Center, where we discovered that it was quite a trek to get up on the mesa. Unfortunately, the park didn’t have a shuttle, and it was already late in the day. Since we are on a schedule, we decided to continue on to Cortez. After a quick dinner, showers, and some relaxing before bed, I was having second thoughts about our decision to pass by Mesa Verde. I had been with my grandparents when I was younger, and I remembered it being a neat place. I started looking for places to rent a car for tomorrow so that we could still go to see the ancient cliff dwellings, and we discovered an Enterprise just down the road that opened at 8AM. We went to bed planning to stop in to check on the price and availability of a car for the morning. Interesting example of not judging people by what you first see! 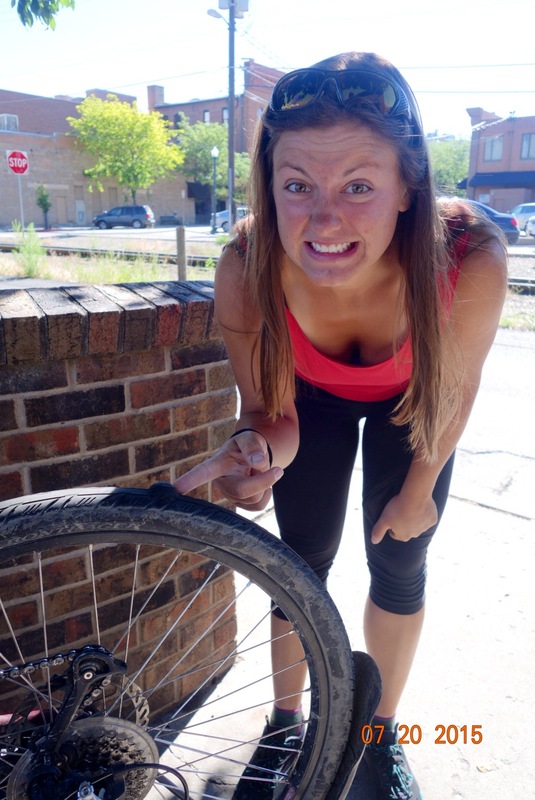 Always have to stay one ahead of Chris int he flat tire category!